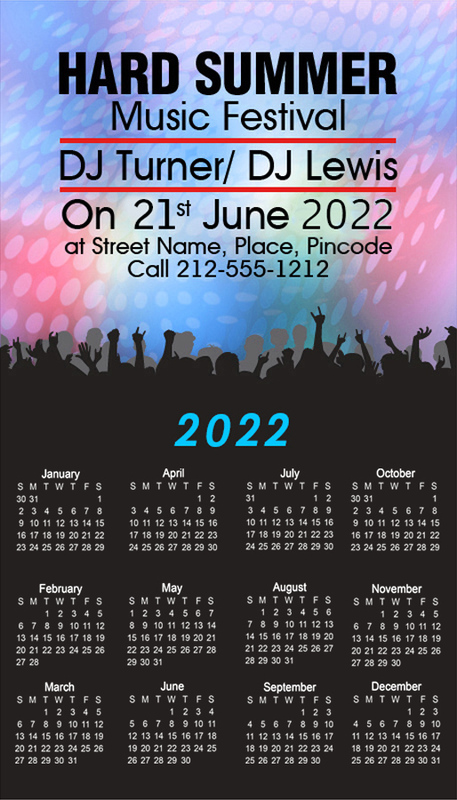 Custom 4x7 inch arts calendar square corner magnets – 25 MIL can be availed by any entertainment industry marketer who wishes to strike symphony with their audience. This magnet being large in size allows enough space for imprinting arts schedule calendar and for building brand impressions. This indoor safe magnet is produced from high quality resourced materials, which ensures its longetivity against all odds. It is perfect for orchestras, troupes, band performers, music conventions, music fundraisers and others trying to register large impressions on the crowd. Request a quote to know discounts that you can avail by bulk ordering these personalized 4x7 inch arts calendar square corner magnets – 25 MIL.